The north coast of the Dominican Republic boasts some of the most interesting and attractive towns on the island, including Luperon, Puerto Plata, Sosua, Cabarete, Rio San Juan and Cabrera. Further east is the lovely Samana peninsula with the ever popular Las Terrenas, Samana and Las Galeras, where thousands flock at whale watching season. Some of the Dominican Republic and Caribbean's very best realty, including villas in gated communities, condos, vacation homes, land and commercial properties can be found in these delightful towns, each with its own character. A port town of approximately 20,000 inhabitants is located in a large bay, approximately 50 km west of Puerto Plata. It is predominantly known for its marina, Puerto Blanca Marina, located on the outskirts of town and is considered to be the safest harbor in the Dominican Republic. The earliest foreign residents were predominantly Belgian and Swiss and there is a small development of good quality housing in the area of El Castillo, with its beautiful, tranquil beaches. This is a developing area where land is still very affordable. Located on a beautiful bay approximately 10 km west of Puerto Plata, is a resort community consisting of higher-end hotels, such as The Palms (former Sun Village), and exclusive private villas with picturesque ocean and mountain views, mainly situated in the hills of Altos de Cofresi. One of the area's major attractions is the Ocean World Marine & Water Park with its much loved dolphin encounter. There is scope for further investment in this desirable area. Schooling is in Puerto Plata. This is a self-contained, gated project with a beautiful beach and calm waters. Many residents from around the world have made their home here. The area boasts a 9 hole golf course and club house, international bars and restaurants, a more than adequate supermarket, internet cafes and low maintenance fees. Villas, condos and small hotels/bed and breakfast properties mix together appealingly to give this area an established feel. Property prices are still at a good level and are expected to rise if anticipated changes to the port in Puerto Plata occur. Schooling is also in Puerto Plata. A somewhat faded glory to Puerto Plata with Victorian gingerbread-like mansions from the late 1800's, located in the older part of the city and its many parks and cafes offering Dominican specialties. Many visit the city to see the historic fort, Fuerte de San Felipe. There is a 2 km boardwalk, or Malecón, lined with typical Dominican restaurants, where you can take a walk and enjoy views of the port and the Atlantic Ocean. Above the town sits Mount Isabel de Torres, accessible by a cable car which affords spectacular views of the city and coastline and the surrounding botanical gardens. The small town of Sosúa is located around 15 kilometers east of Puerto Plata. 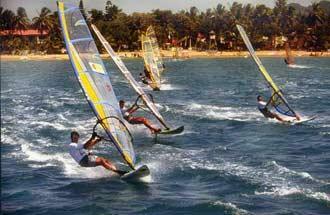 Over the last few years, it has developed into one of the most popular coastal resorts in the Dominican Republic. 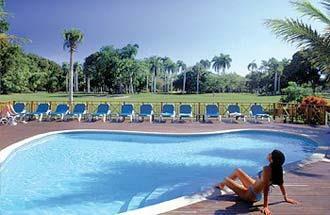 Situated between the main coastal road (Puerto Plata to Samana) and the Atlantic Ocean. 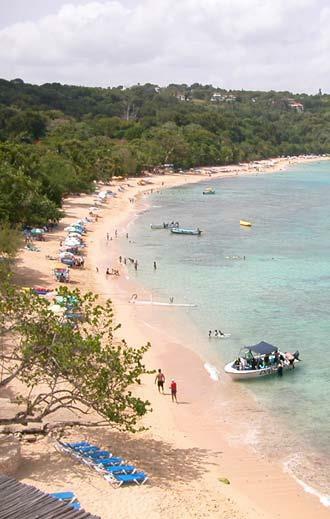 It has several excellent sandy beaches, including Playa de Sosúa, Playa Chiquita and La Playita. This small town is situated around a large bay and consists of two quarters: El Batey and Los Charamicos, which are linked together by Playa Sosúa. The area to the east of the beach, El Batey, focuses entirely on tourism and includes an attractive commercial centre with a large number of shops, restaurants, bars and terraces etc. The nightlife is fun and exciting, especially for such a relatively small town. The beach, Playa de Sosúa, has good water-sports facilities and consists of an unbroken line of small shops selling souvenirs, snacks, drinks etc. A centre of commerce, Sosúa has ease of living for most Expats looking for a centre with shops, banks, supermarkets, pharmacies and day-to-day necessities. For families, some of the best schools are available close by. The northern town of Sosúa was founded by Jewish immigrants. These groups were victims of persecution in Europe during the late 1930's and 1940's. Former Dictator Rafael Leonidas Trujillo, offered Dominican visas for Jews escaping the trouble in Europe. Though theories vary on why Trujillo offered the visas, some refugees did take him up on his offer and founded Sosúa; in the northern part of the DR.
Cabarete is a small Caribbean town nestled some 12 kilometers from Sosúa. The town, with its beachside bars, restaurants and hotels, appeals to all ages but comes to life in the evening as one of the 'hottest' destinations in the Caribbean. It can also boast some of the finest soft white sand beaches on the north coast and is as friendly and welcoming as it can be. This is home to the kite and wind surfers, but offers scuba diving, quad and mountain biking or just sun worshipping on one of the best beaches on the north shore. Cabarete is ideal for those looking for a beachside investment that will rent with ease. There is even a local hairdresser, who will cut and style your hair while you sit under the shade of a palm tree on the beach. At night, the place becomes alive with the sounds of merengue and bachata playing from the many restaurants and bars along the beach. Local Dominicans sit alongside the road playing dominos oblivious to the busy traffic threading through the center of town. This is an up and coming fishing and farming town about 100 km east of Puerto Plata. There are a few hotels and beautiful beaches in this area, as well as the Gri Gri Lagoon, where you can take a boat tour to see the unusual rock formations and magnificent mangrove trees. The Playa Grande/Cabrera area, about 120 km east of Puerto Plata, has a spectacular white powder sand beach lined by tall palm trees and surrounded by rugged cliffs. Big waves make it a popular spot for water sports but the undertow can be strong. There are many beautiful villas in the area. 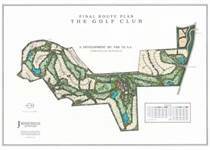 The Robert Trent Jones-designed Playa Grande Golf Course is located here, with 10 holes of the golf course being along the cliffs, overlooking the Atlantic Ocean. This is arguably one of the most impressive courses in the Caribbean and certainly a must for all golfers. influence and investment in this area makes a noticeable difference to the quality of services and infrastructure and the whole area has a clean, fresh feel. Located approximately 245 km east of Puerto Plata, must be accessed by one of two mountain roads. Upon arrival in Las Terrenas, you'll be awed with the calmness of the area and the beautiful white sand beach lined with tall palms and pastel-colored wooden fishing boats. The next thing you may notice is its Mediterranean-influenced atmosphere. There are plenty of cafés and oceanfront restaurants where people can be found sipping wine over long, leisurely lunches, or having a mid-day break over a café latte. Shops there offer a variety of arts and crafts, many of them unique handmade items that can be difficult to find elsewhere in the Dominican Republic. Samana is a destination for nature lovers and adventurers. Green, green mountains, long beaches, solitude, lively little towns in between, turquoise waters. Samana is also a romantic destination, and several of its small hotels are perfect for honeymooners. It is also a good choice for experienced scuba divers. The place to stay if whale-watching is high on your agenda. It is the place to sit on a porch or in the shade of a palm tree, sipping something cool and discovering the rare feeling of being happy just being alive. The exuberance of the area and the variety of natural attractions make it the preferred choice of those seeking an active vacation. Horseback riding, swimming, snorkeling, diving, sailing - all the activities that come with beautiful nature, - Samana is truly for explorers. Samana has a distinct, European flavor - The French were first, but now many Italians and Spaniards have opened up businesses to cater to tourists in the area. In the hills just above Sosúa is the expansive region of La Mulata. This is an area for those who want the country estate. Land prices are affordable and offer spectacular backdrops of mountainsides and far reaching sea views. It is ideal for those wanting the feel of living in the countryside whilst being close enough to the coast. A small, semi-gated area, halfway between Sosúa and Cabarete. Wide open areas with a mixed residential feel of large and small homes, individual developments -some gated, others not. This is close to the main highway but peaceful. Being built on the hillside, the houses here catch the sea breezes and the whole area is relaxed and airy. A gated and walled estate situated halfway up Lomas Mironas, this development offers newly built homes and lots available within carefully landscaped surroundings. 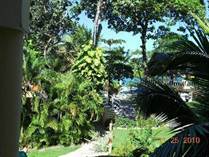 A gated development situated halfway between Sosúa and Cabarete. As a beachside development, this is one of the more established communities. Gated, with a 24 hour security patrol, this development has a slightly more tropical feel than most with large areas of overgrown planting separating the homes. A mix of large and smaller homes with building lots still available in all parts. The semi private beach is one of the best along the coast and offers access to the small hotel and restaurant situated there. This small, exclusive estate, set within Perla Marina, is built to extremely high standards. Each home is supplied with an individual generator. Most of the homes here are large and have an American feel to their design. The quality of finishes to each property and the upkeep of the whole area make this a very safe, secure investment. An affordable, secure, gated community close to Sosúa, that has long been a favorite amongst Expats due to its accessibility, well organized community lifestyle and well maintained communal area. Neat, tree lined roads with small to medium sized houses set in landscaped gardens. Clean and tidy. Resales here are a good investment area for those interested in resale potential and rental possibilities. Built by the original builders of Casa Linda, this development is a few minutes walk away from the town and therefore of great popularity with residents and holiday renters alike. The houses range from 100m2 upwards with lots from 800m2+. Prices are very reasonable and when finished, the same high quality management and maintenance as with Casa Linda will be in place. A rental pool will operate for those interested. This will be an area of spectacular development in the coming months and one where a high quality of lifestyle will be reflected in the Ocean front Club house and Gym to wide ocean vistas and manicured landscapes. Lots here start from around $150 m2 with ocean front lots of around 5000m2 upwards priced at $250 m2. At present the first phase of building is underway with condos and townhouses being built around individual pools. The infrastructure is in place to accept the first homes being built within the next few months. Set just outside of Sosúa, this is a beachside mixed development in 3 phases, the first two, Playa Laguna 1 & 2, are made up of more established homes and condos. Then a further area known as Escondido Bay, is devoted to new houses on good sized lots a short walk away from the beach. This is probably the most exclusive of Gated Enclaves on the North Coast. Its homes show careful attention to detail and a high standard of construction. The gates open onto wide flower-filled, tree-lined avenues and the homes are set in immaculately landscaped gardens. On the estate you will find every luxury a homeowner and vacationer could wish for: Ocean front Pools, Beachfront Clubhouse, Tennis Club, Equestrian Centre and Jogging Trails. Should this be an investment property or used for part time living, the community offers an excellent management scheme to owners to rent the property out on their behalf. Set high above Sosúa, an un-spoilt environment, far away from noise and pollution – this highly prestigious Estate offers 24-hour security, a breathtaking setting and tremendous views. This is an area to buy or build a large family home with Estates from 2 to 8 acres. Everywhere you will see astounding views of the emerald ocean, the surrounding hills and valleys, palm forests and exotic flora - setting the scene for a location second to none on the north coast! A stables and tennis court facilities are provided free of charge for owners and their guests. Si ya tienes el hotel en Punta Cana reservado, Colonial Tour and Travel te ofrece el servicio de transporte terrestre desde cualquier aeropuerto en Republica Dominicana, en cómodos autobuses con aire acondicionado y asistencia en el aeropuerto en llegada y salida. Entre Puerto Plata y el aeropuerto han edificado una sección turística que le llaman Playa Dorada. Esta zona es exclusiva para el turismo. Cuenta con varias playas, hoteles, restaurantes, bancos y discotecas. Algunos hoteles por un precio preajustado le permiten disfrutar de toda las comodidades, incluyendo todas la comidas y bebidas o plan "Todo Incluido" - marca nacional . Si necesita tomarse un día de descanso de tanta playa, le recomendamos pasearse por el malecón que termina en el Castillo San Felipe. O ir al Museo del Ámbar donde tienen interesantes exhibiciones de estas resinas petrificadas. En una de ellas hay atrapada una lagartija. Para aquellos que le guste la naturaleza, un paseo a caballo a la montaña. No se preocupe, no va a llegar a la cúspide pero si va a poder observar infinidad de plantas y pájaros, algunos endémicos a la isla. El Diablo Cojuelo, como personaje central se convierte en Taimacaro. Este personaje reproduce deidades tainas en sus máscaras, con un hermoso traje, donde se simbolizan elementos de la cultura española y en cintas multicolores las esencias africanas en sus brazos, que se complementan con los caracoles del Atlántico como identidad del pueblo de Puerto Plata. En la costa norte de la República Dominicana, encontramos el pueblo de Sosúa. Se llega a él con facilidad después de una corta travesía entre playas y montañas desde la ciudad de Puerto Plata. La carretera está en buenas condiciones y la distancia son unos 25 km al Este .El pueblo ubicado a 15 km al este del Aeropuerto Internacional y 25 km de Puerto Plata, fue fundado en 1938 por 500 colonos judíos. Sosúa es conocida en toda la isla por sus productos lácteos y productos cárnicos. En Sosua encuentras varios restaurantes internacionales, y cafeterías, escuelas internacionales, carnicerías alemanas y panaderías, periódicos y transmisiones en alemán e ingles y francés. El casco urbano de Sosúa se llama Charamicos, allí encontrarás todavía la vida original de los dominicanos, y puedes escuchar a su música: merengue, bachata y salsa.